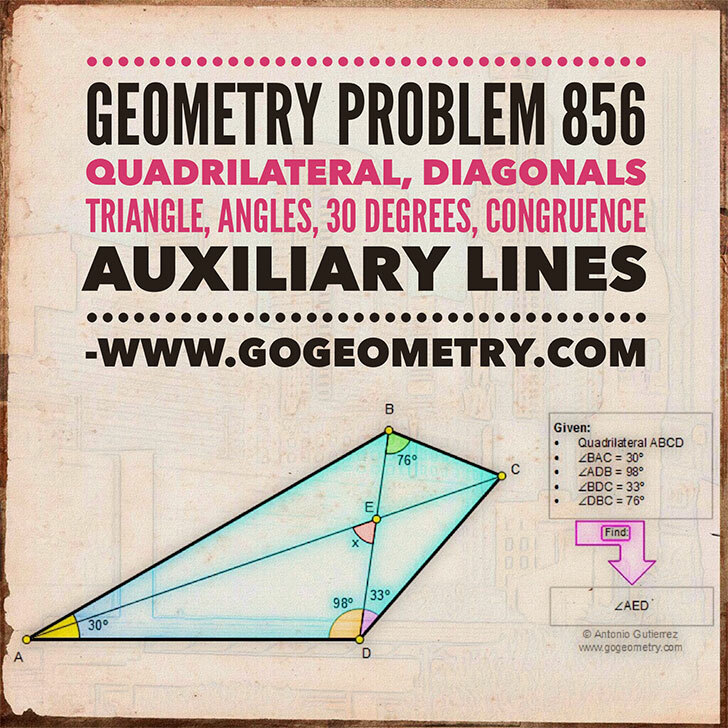 Math Education Geometry Problem 856: Quadrilateral, Diagonals, Triangle, Angles, 30 degrees, Congruence, Auxiliary lines. The figure below shows a quadrilateral ABCD with angle BAD = 30 degrees, angle ADB = 98 degrees, angle BDC = 33 degrees, and angle DBC = 76 degrees. If the diagonals intersect at E, find the measure of angle AED. Try to use elementary geometry (no trigonometry.